What does trick-or-treating, leaves changing colors, the World Series, the start of the NHL season and Biofuels Month have in common? They’re all happening this October. Governor Mark Dayton has declared October Biofuels Month in Minnesota. It’s an opportunity to celebrate and recognize the important role biofuels such as clean, renewable and homegrown ethanol play in building Minnesota’s economy and reducing our impact on the environment and the air we breathe. Six listening sessions have not turned up any earth-shaking critical comments about the Minnesota Department of Agriculture’s (MDA) proposed Nitrogen Fertilizer Management Plan, according to MDA officials. The comment period continues until Nov. 1, at which point Agriculture Commissioner Dave Frederickson will consider the comments and publish the final version of the plan. Like the rest of America, farmers woke up this morning and learned that the federal government is shut down. The U.S. Department of Agriculture (USDA) has mostly gone dark. 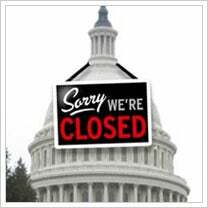 With the exception of food and grain inspections, fighting forest fires and monitoring government property, most of the department’s 100,000 employees are furloughed (put on temporary leave) and offices are closed. There’s been plenty of political rhetoric and attacks using Big Oil talking points on the Renewable Fuels Standard (RFS) recently. Unfortunately, it appears that the same people making attacks have chosen to ignore a study released last week by energy economist Philip K. Verleger that concludes ethanol and the RFS have lowered gas prices by as much as $1.50 per gallon. Like a football team tries to maximize its strengths, Layne Ebeling and his cousin Cory know what each other does best on their farm in Martin County. Layne and Cory took over the farm from their fathers in the 1990s.